Preventative dental care is one of the most important things owners can do to increase the health and longevity of their cats. Neglecting to keep a cat’s mouth healthy can lead to gingivitis and periodontal disease. In severe stages, when the gingiva is openly bleeding, it is possible for bacteria to enter the bloodstream and infect organs such as the heart, liver, and kidneys. 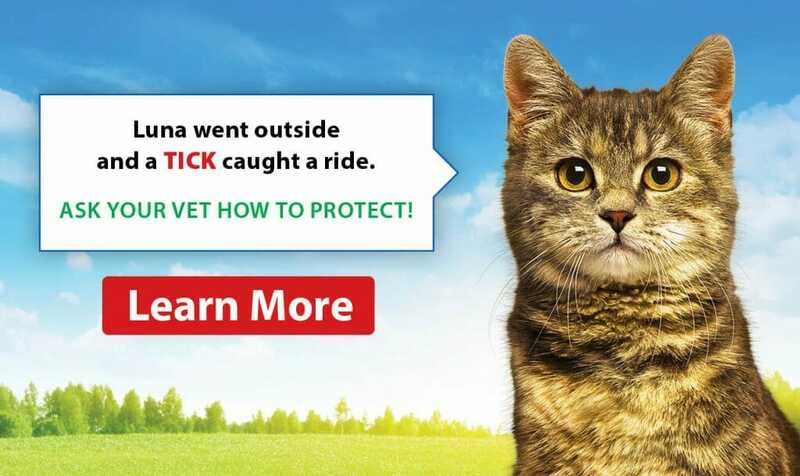 Not only is this worrisome for the health of the cat but it is also painful. 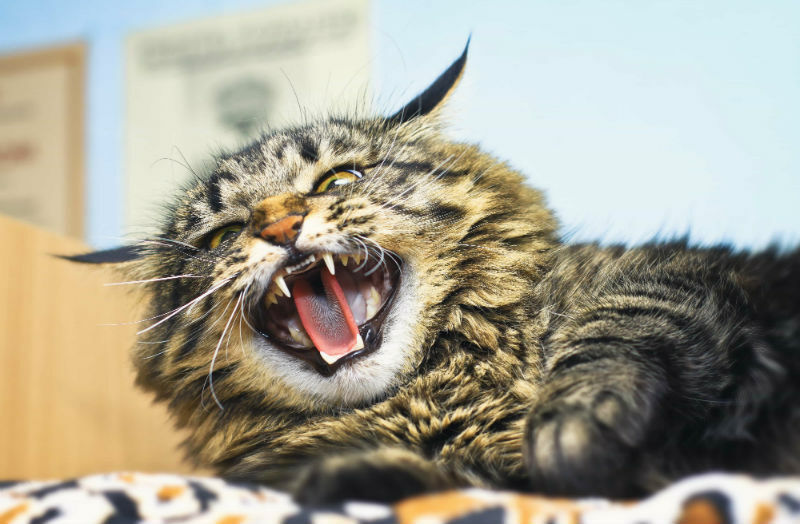 Below are the top 5 things owners can do to keep their cats’ teeth and mouth healthy. 1. Provide a high-quality dental food – such as Hills T/D, Royal Canin Dental Diet, or Purina DH all of which we carry at our clinic and have the VOHC* seal. These foods are nutritionally complete and balanced for the adult cat. There are a few different things that make them special. The kibble is quite a bit larger than your average cat kibble and it has a special matrix inside of it. When the cat bites into it the tooth fully sinks into the kibble and the special matrix actually scraps the plaque off of the tooth cleaning it as they eat. These diets also contain special enzymes that help to prevent the formation of plaque and tartar. Ideally, an adult cat should be fed a combination of canned/wet food and dental food. 2. Daily at home brushing – Although brushing your cats’ teeth can sound very intimidating at first – The Cornell University Center for Feline Health has put out an amazing 4-part video series on exactly how to get your cat used to brushing (https://goo.gl/JimCJ1). Anybody can do this with a bit of effort and persistence. If you would like to bring your cat into the clinic for a demo we would be happy to show you and we carry all the supplies you will need. 3. Dental Treats – such as Greenies which have the VOHC* seal, CET chews, and many others. These treats perform a similar cleaning action as the dental diets listed above. You can even use the dental diets above as treats instead of feeding it as the sole diet. 4. Oral Rinses and Water Additives – We carry an antibacterial oral rinse called DentaChlor that contains an antibacterial agent called Chlorhexidine. 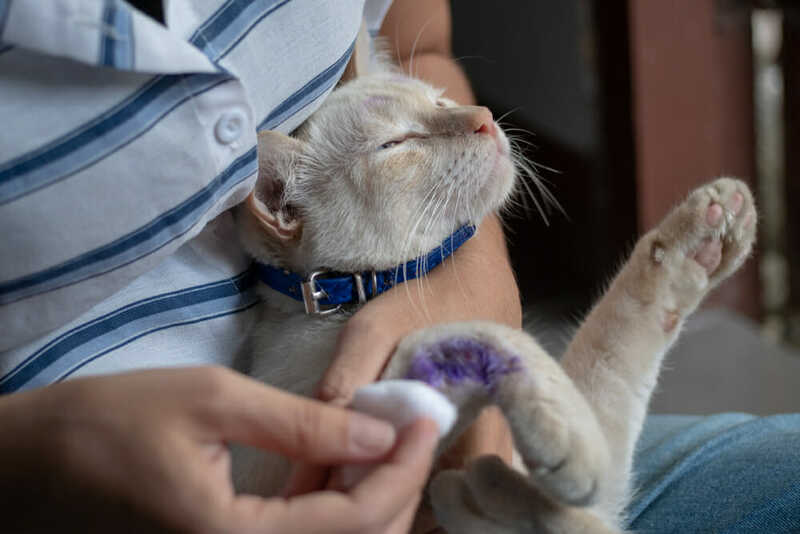 Using a syringe you can place a small amount into each cheek pouch of your cat and massage the gums to disperse it over the teeth. This will help to destroy many of the harmful bacteria in your cat’s mouth that are the cause of bad breath. Water additives such as Healthy Mouth come in a concentrated formula that is added to the drinking water. It has the VOHC* seal for the prevention of plaque. It comes in a few different flavors your cat may enjoy. 5. 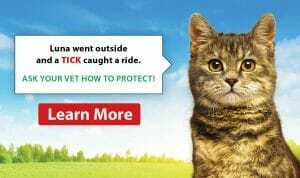 Yearly dental cleanings by a veterinarian – Although the things listed above will make a huge difference in your pets oral care none of them are a replacement for a full dental cleaning by a veterinarian. When your pet is put under general anesthetic we take full dental radiographs to access the entire tooth and its root. We also perform a thorough cleaning above and below the gum line removing all tartar that has built up over time followed by a polish to make them shiny and new. *VOHC – When the Veterinary Oral Health Council authorizes the use of its Registered Seal, it certifies that the product met VOHC’s Standards for effectiveness in retarding plaque and tartar when used as directed.